Compression garments can be so nice at times, post-baby, or anytime really. Check out ones from SRC Health. 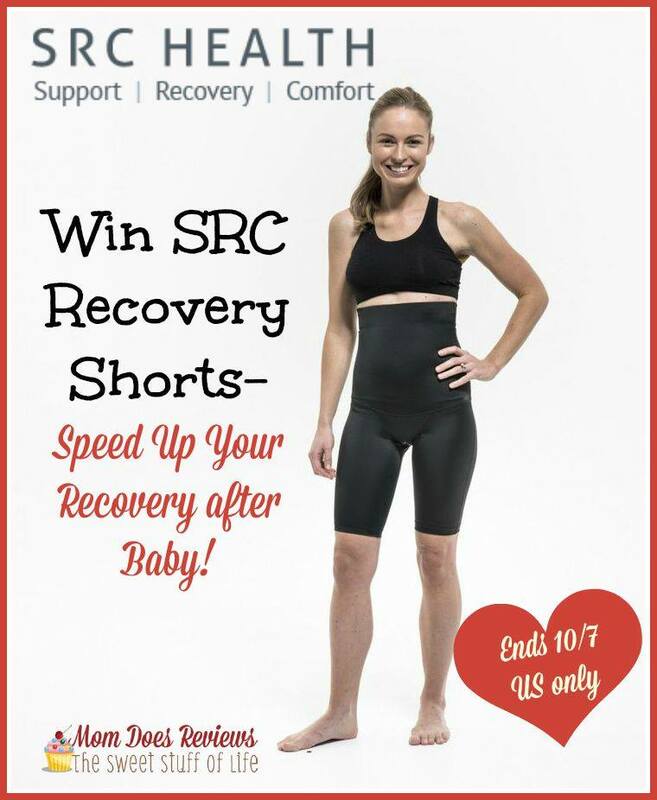 SRC Health offers compression shorts that are designed to make the postnatal stage more comfortable for moms. SRC Recovery Shorts provide gentle compression to support the pelvis, back, and abdominal muscles. This added support will offer more mobility while helping your body regain pre-baby shape. SRC Recovery Shorts also provide gentle compression to wound areas. Reducing the wound tension provides support and reduces pain. To learn more, read April’s full review on Mom Does Reviews! Who would benefit from SRC Recovery Shorts? Here’s your chance to win a pair! I didn’t discover that I have a diastesis recti until I was carrying my third child. Then I also discovered that all the traditional exercises I had done to lose my “belly” actually likely made it worse. Now that I’m done raising babies, I’d love to get my body back. Winning these shorts could be a step in the right direction. I learned that Recovery shorts offer support and help get your shape back after baby. I ended up with a hernia after having my baby. I think the thing that bothered me the most was my stitches. Wish this had been around when I was recovering, these look like they would really be comfortable. I am expecting my first so I would love to use these for extra support and to regain my body after having baby!